Being a Nokia blogger is not as exciting as it was some years ago. 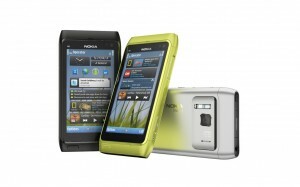 Nokia has been playing the “catch-up” game for too long now. They used to be the leader. I was just playing with my Nokia N93 and I realized why I started a Nokia blog in the first place: they were the ones that came up with the cool gadgets, the innovations – and everyone else played the catch-up game. But Nokia stopped innovating. Its last effort, the N8, makes me feel sad when I compare it to my other phones. In every other aspect, but the camera, the N8 lags behind my Galaxy S, and more recently, my Samsung Focus. I have to be honest, I sold the N8 I won in a contest. I was not using the N8, it was just pretty hardware with an annoying, horrible, and unattractive UI and UX. I have not given up on Nokia though. There is MeeGo coming as well as the updates that used to be Symbian 4. But until Nokia gets my attention back, this blog will remain without updates…..